A side-product of operating a coal-fired steam engine is cinders ("Schlacke") that are removed from the engine during serving. The cinders are usually dropped into a pit beneath a track, cooled off with water, and taken away. Obviously, I need such pit in my servicing facility as well. 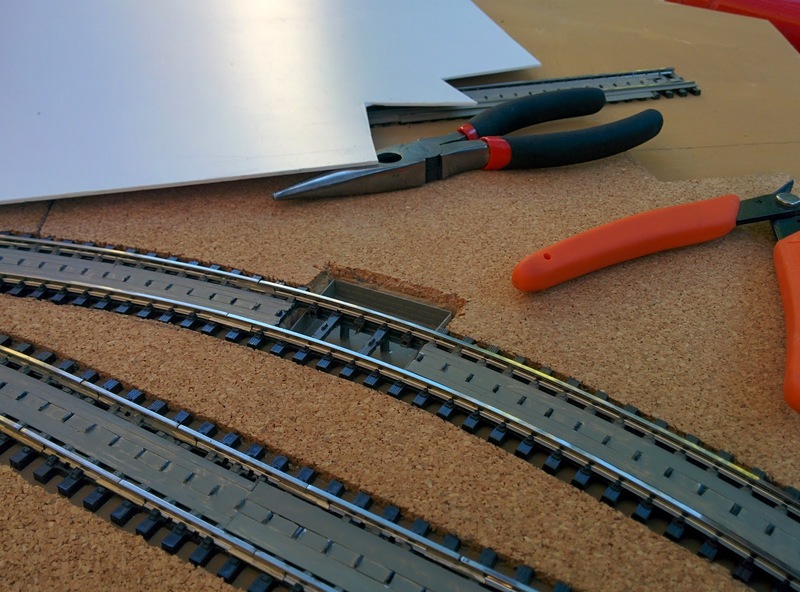 It was cleary not helpful to have the tracks laid out and glued in place already. 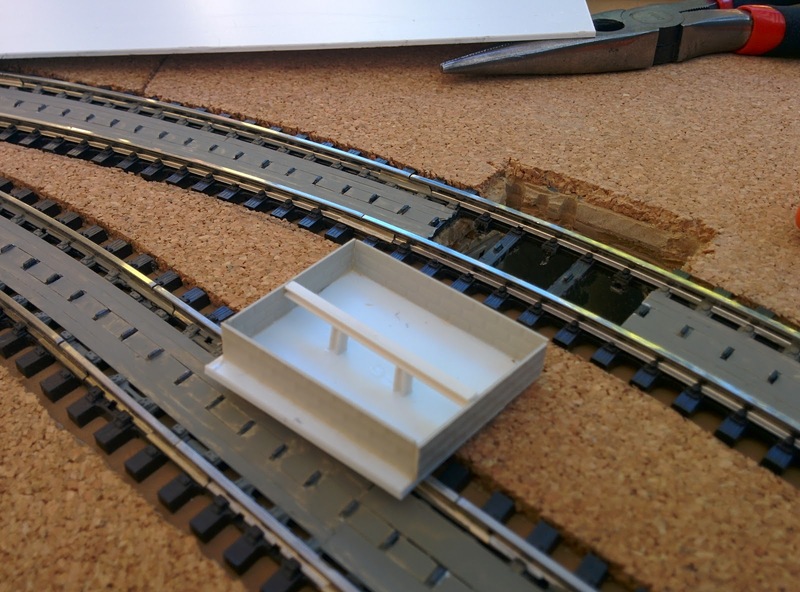 It would have been much easier had I cut the hole for the pit in the base board before I glued down the tracks. Oh well. 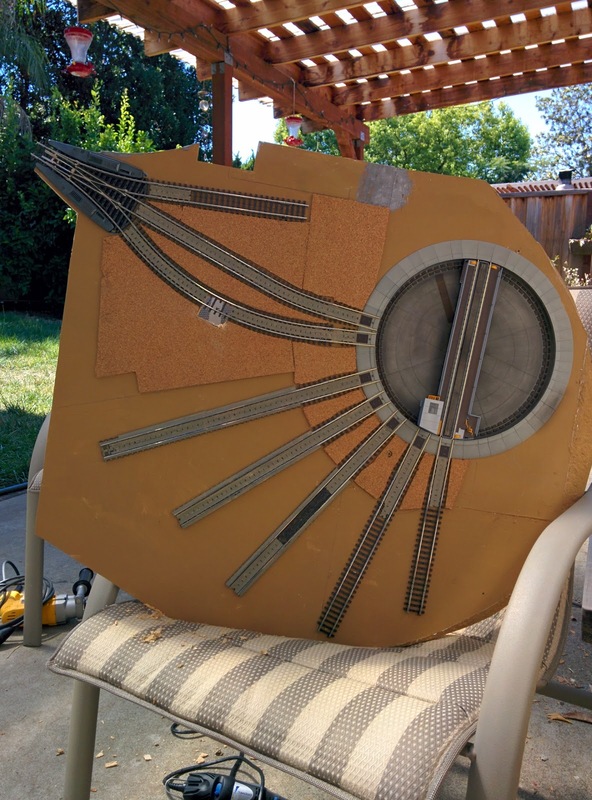 At least I didn't have to work in the middle of the layout, but could take the service facility module outside for the messy parts of this job. Working on the cinder pit. Done with the cinder pit. Thankfully, I could put the module vertically for this. Once I had the hole in the baseboard, I needed to build the actual ash pit. 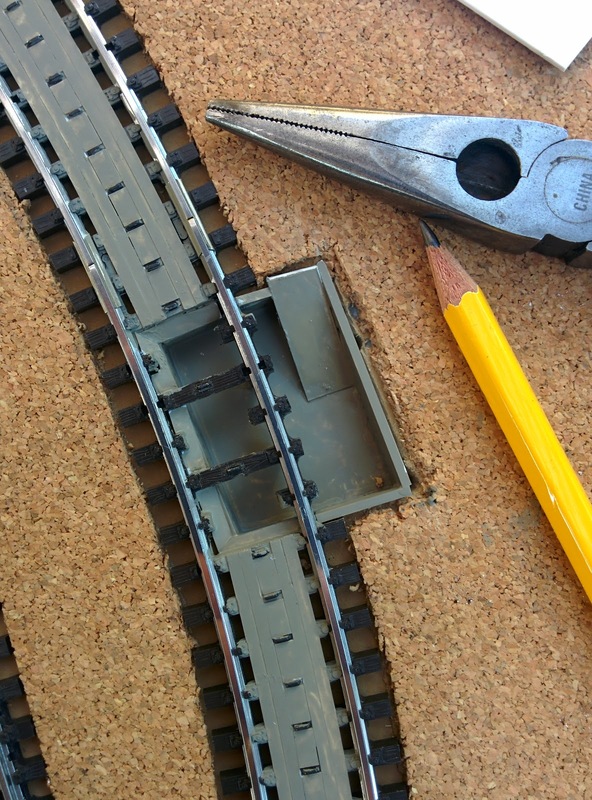 I cut every second tie from the track, and built a shallow pit from styrene sheet, Plastruct cement wall, and a styrene I-beam with respective supports to carry the rail over the pit. Pit set in place and glued down. 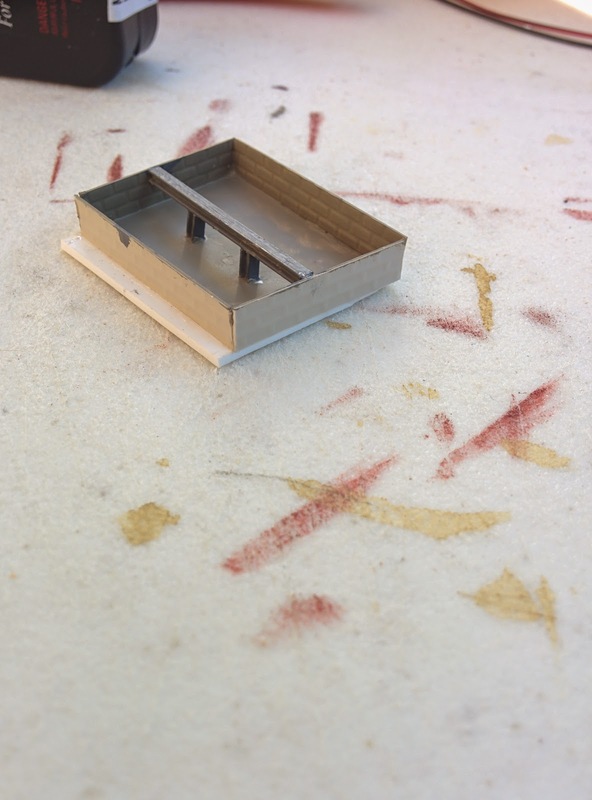 I added a ramp and framed the sides of the pit so that all the rough edges are hidden away. 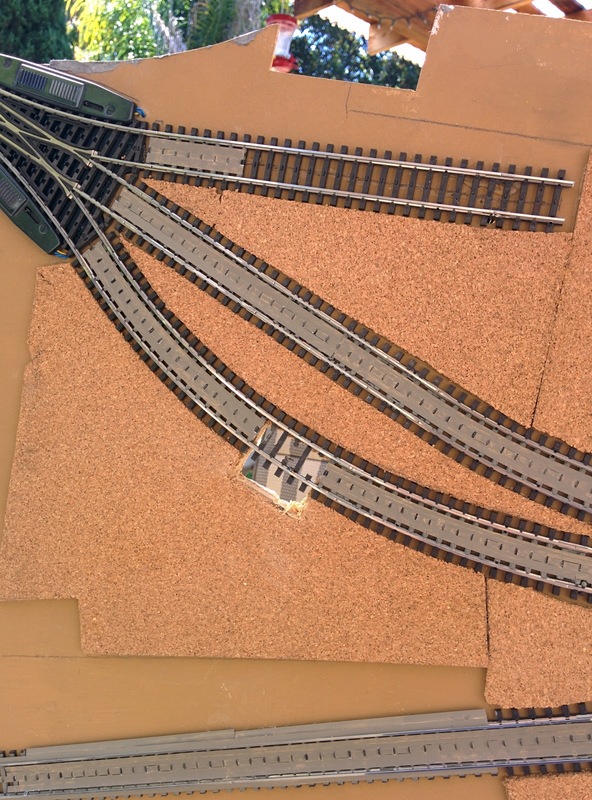 The two ties not only keep the track in gauge but I'm hoping they will be sufficient to feed power to the pickup shoe on Maerklin locomotives. 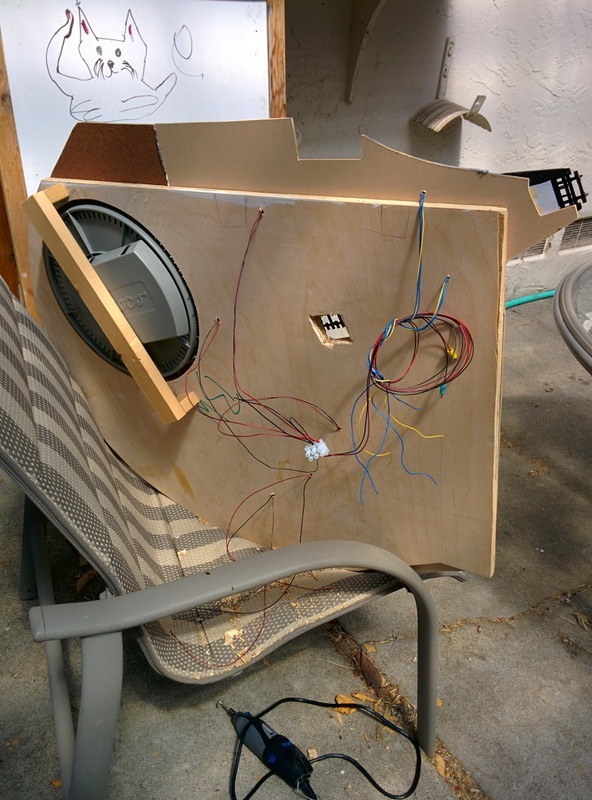 In the worst case I will glue some wire over the hole to guide the pickup shoe. Cove Beach. Ano Nuevo State Park. "Hello, this is the Windows service center"